Before life as an acupuncturist and Traditional Chinese medicine practitioner, Belinda worked in the corporate world, juggling a career with raising a family. Following the death of her father and a marriage break up after 26 years, she "burned out" and began to explore alternative health modalities such as Reiki and Holistic Pulsing, Meditation and Yoga for her own healing and wellbeing. Belinda was inspired to embark on a 4-year full time course of study after receiving acupuncture treatments at the student clinic of the NZ School of Traditional Chinese Medicine and Acupuncture. The degree course provided her with the strong foundations necessary for life as a holistic health practitioner. Belinda's original training was in Traditional Chinese Medicine Eight Principles. Since her graduation in 2009, Belinda has added to her learning every year completing courses in other styles of acupuncture including; Manaka Protocol (Japanese style), Dr Tan's Balance Method, Kiiko Matsumoto Japanese acupuncture, Auricular acupuncture. Belinda blends elements of these into her own style of treatment that is unique. A session will involve the palpation of reflex areas on the abdomen to diagnose underlying patterns of disharmony and which guides the treatment. This method is very gentle and holistic and clients notice significant changes as they relax on her table. Belinda’s treatments may involve; acupuncture, tuina massage, tendon stretching, cupping, moxabustion, Chinese herbal medicine and western medicine supplementation. Belinda likes to help people with low energy relating to low thyroid function and adrenal fatigue, painful and stress related conditions, women's health specifically painful menstruation and menopausal issues, and men's health including prostate problems. Belinda has been a council member of her professional body Acupuncture NZ, and has supervised acupuncture students treating women at Arohata Prison in Tawa. She is currently a committee member of Acupuncture Now Foundation, an international organisation that promotes acupuncture as a viable treatment option based on research outcomes and is working to integrate acupuncture into mainstream western medicine hospitals and clinics. 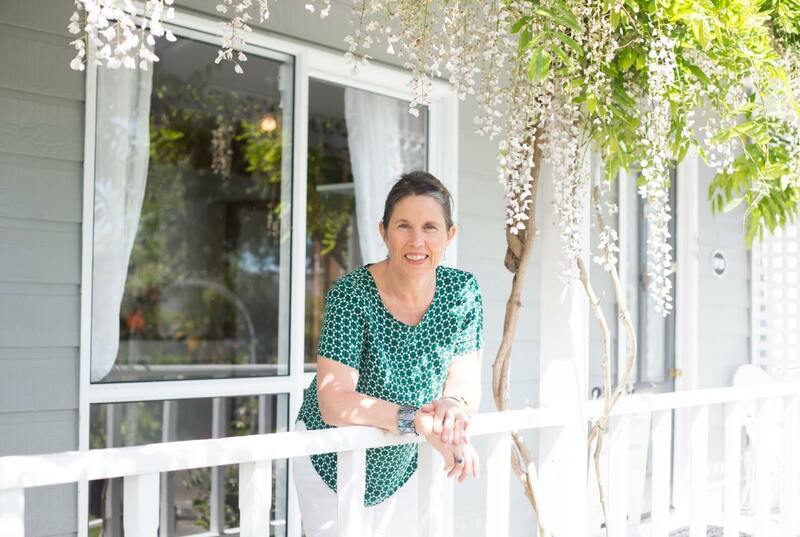 Belinda moved her practice, Aroha Acupuncture, to Waikanae where she now lives and enjoys a variety of interests including gym, music, yoga, spending time with friends, family and new grandchild, walking in nature … reflecting, meditating and continually learning! Belinda helped me with some digestion issues and feelings of stress and anxiety through a mixture of acupuncture, cupping, massage and breathing exercises. After 2 sessions I’m feeling much more like my usual self! Her rooms are lovely and warm and very relaxing and her manner is very soothing. Belinda is the best acupuncturist I have EVER been to and I’ve been to a few. I have been to pretty much all specialists associated with joint pain and I must say I was skeptical, but I am intrigued, after three treatments my chronic pain dissolved and I am still waiting for it to come back. But It doesn’t seem to want to….